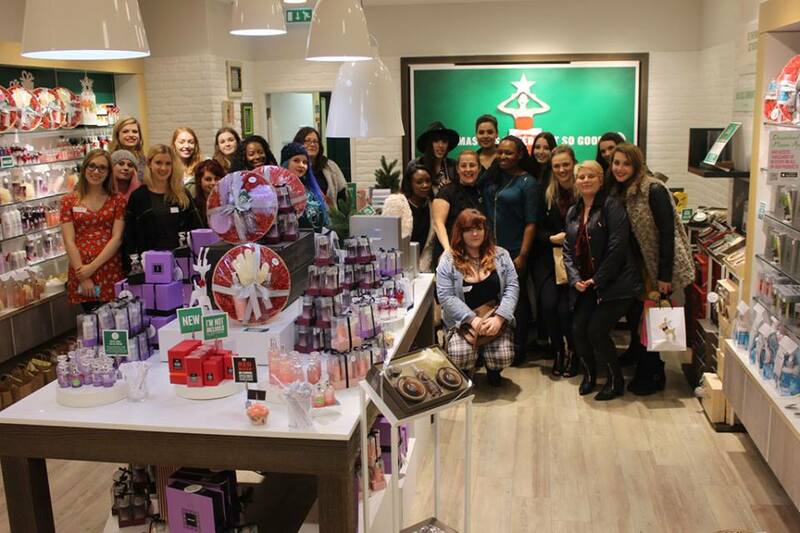 Just over a week ago, me and Chloe headed into town, to The Body Shop on New Street, to attend the blogger meet that Abbigayle had organised. I was nervous and excited and had been looking forward to it since I booked my ticket! I was also super excited because of the huge 50% discount The Body Shop were giving us! When we arrived, we were each given a cupcake to play ‘What does my cupcake say?’. Unfortunately I couldn’t think of anything very witty but it was a great game and icebreaker. Then we each picked a chocolate, not knowing what it was for and it was for an icebreaker too! We were each asked a question based on the chocolate we had picked, which was fun finding out facts about other bloggers. We then split into groups to explore the shop more. The first station we headed to was skincare. Hannah was the first to be demonstrated on and then Chloe, it was interesting to hear about the different ranges as I’ve never really used The Body Shop skincare before. We then moved onto make-up where we learnt about all the different products, especially the primer, BB cream and bronzer. Then we went round to hand and nail care, the girls had a hand massage which seemed very relaxing. Our last station was the Christmas products, they were absolutely divine! I loved the apple one so much and it was new for this year so I had to have it tested out on me. We then had another competition for The Body Shop Christmas wishlist, where we had to find 3-5 items we would want for Christmas and put them on instagram. This was super fun cause there was quite a lot I wanted. I took advantage of the 50% discount by buying a few shower gels (obviously one was apple…) and the BB cream and primer set. The charades after this was the funniest part, which I loved playing. It was so nice to be able to speak to other bloggers, make new friends and catch up with other blogger friends I hadn’t seen since the last Birmingham event I went to! Everyone was so lovely and it certainly made it easier to interact and make friendships with the way the event was planned. I loved this blogger event so much as it was different to others I’d been to, actually getting to interact with other bloggers and a brand at the same time! Thank you so much Abbigayle for organising it and the goody bags, I can’t wait for the next #bhmbloggermeet!